We work with our clients to make the creation process easy and enjoyable. When we receive your enquiry, we’ll talk through ideas and prices together, before providing you with a free design and associated quote. 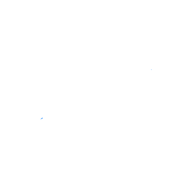 Once you’re happy to proceed, we’ll book you in as soon as we can. 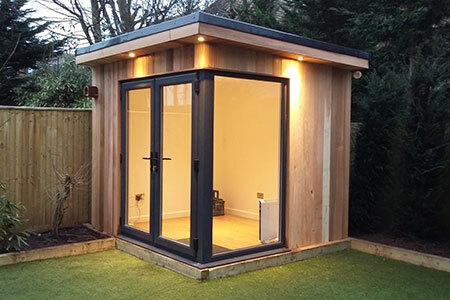 Our garden rooms comply with permitted development laws, so planning permission is not usually needed. We will need to check this if you live in a flat, maisonette, listed building, or conservation area, or you have any protected trees in your garden. 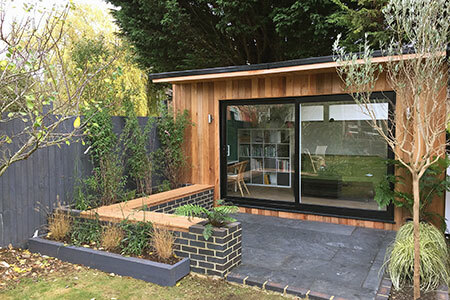 Our studios are constructed using only FSC-sourced timber. 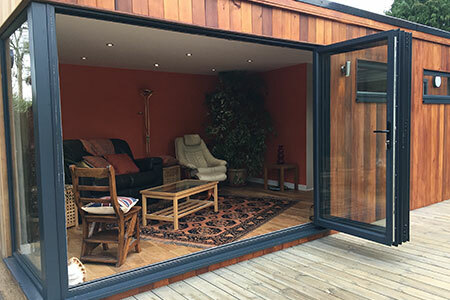 We use structural insulated panels (SIPs) in the flooring, roof and walls, which offer high levels of thermal protection and save on heating costs. 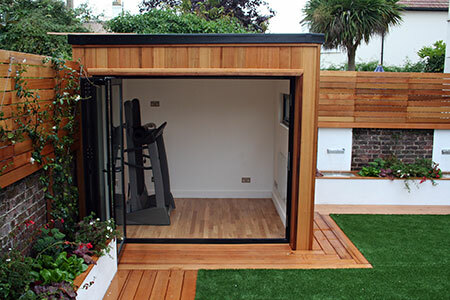 Urban Escape Studios are designed to suit you and your individual requirements. 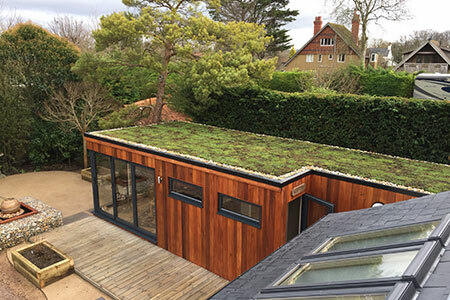 Our garden rooms and offices are the perfect space to work or relax in, being beautifully constructed, environmentally friendly, and they look great too. 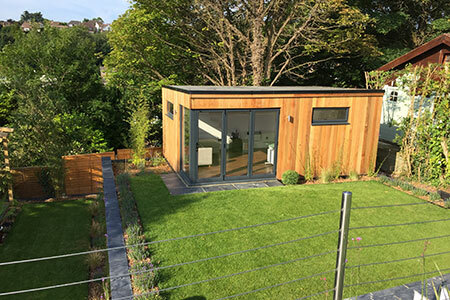 We have built dozens of garden rooms in and around Sussex, and they are used as home offices, gyms, guest rooms, yoga studios, playrooms, music and art studios, therapy rooms, and much more.